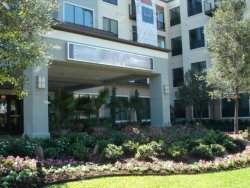 Apartment Selector Dallas helps employees, doctors, nurses and patients that need to live near or use mass transit to our major hospitals-give us a call. Love Field-Parkland Hospital-St. Paul Hospital-Medical City Hospital- Presbyterian Hospital-Baylor Hospital. Leasing Agents- Great Leads Unlimited Income Opportunity Home Based or Office.Call 214-739-5229! Apartment Selector® is America's original free rental referral and locator service. Since 1959, we have helped over two million people with their rental housing needs. We are more than an internet apartment assistant, we offer personalized service to help find the right place for you. Our trained real estate agents are ready seven days a week. Let us do the work for you. Use our Photo Gallery to learn more about area apartments and to narrow down the choices you would like to make. Free Service View our Picks of the Week. Just see what we do, for free. Free Rent! Move In Specials! Sophisticated urban living. Convenient to Downtown, Uptown, Tollway, Love Field. Wood plank or stained concrete floors. Internet cafe, outdoor kitchen. Call us today for further information on this brand new community. Get Your Specials Here! All Areas. Caruth at Lincoln Park Apartments , Dallas, TX Zip Code: 75225, Call: 214-750-8744 for Information about Renting! Watermarke at Lake Highlands Apartments , Dallas, TX Zip Code: 75238, Call: 214-750-8744 for Information about Renting!